Earlier this year, Toyota invested US$1 billion in Grab, bringing the ride hailing company closer to achieving its vision of becoming a one-stop mobility platform in Southeast Asia, Grab said. Meanwhile, it also recently unveiled a new ad business initiative, GrabAds, to provide brands with an online-to-offline platform to engage with Southeast Asian consumers. 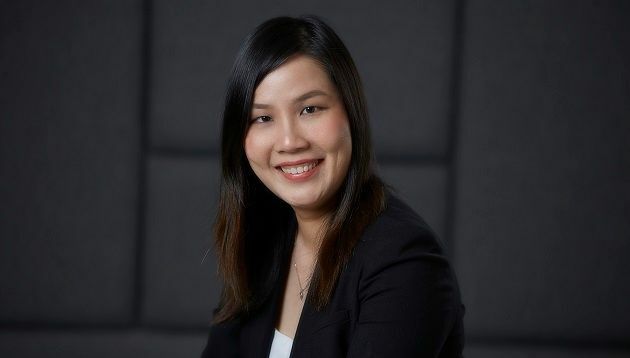 In an interview with A+M, Iris Chang (pictured), country marketing head of Grab Malaysia said Grab has come “a long way” since its early days of MyTeksi in 2012. “Our driving principles have never changed. What is the problem we are trying to solve? How fast can we scale the solution?” Chang said. With the acquisition of Uber earlier this year, Chang said the company is now focused on building its platform to become a “super app” that meets the everyday needs of consumers, such as convenience, accessibility to food and cashless payments. Grab’s mission of becoming a “super app” was further reinforced in its latest Merdeka Day and Malaysia Day campaign titled “My New Malaysia”, which saw Grab collaborating with homegrown entrepreneurs and creative social enterprises to create limited-edition Grab Malaysia Day merchandise, made available at 175 GrabPay and GrabFood merchants. Meanwhile, to ensure Grab solidifies its position as Southeast Asia’s leading mobile platform, customer experience is also one of the aspects that is high on their agenda. “As a tech company, ensuring our technology is constantly updated and relevant is important to ensure a good customer experience, be it offline or online,” Chang said. She added that the company has six research and development centres across Southeast Asia, with talent from companies such as Uber, Amazon, Google and Microsoft. “In the next 12 months, we are also looking to hire 1,000 more engineers to help drive our tech even further,” she added. However, the climb to the top in a field as competitive as ride sharing, is not easy. Like many marketers, Chang faces difficulty in identifying good marketing talent. According to her, operating in an “ultra-competitive” industry such as ride hailing means that Grab faces plenty of fast-paced and intense competition. This is on top of dealing with marketing innovative products to fit different market needs. The talent that we hire need to be purpose-driven, daring to change and have an open mindset to constantly unlearn, learn and relearn. As country marketing head, Chang is responsible for strategising, developing and implementing marketing initiatives to enhance Grab’s branding and awareness in Malaysia. She is also tasked with promoting the everyday use of the Grab platform to enrich, simplify lives and cater to the daily needs of Malaysians. Armed with two years of experience in the automotive industry and six years in the telecommunications industry, Chang said her previous experiences have taught her that speed to market is a “necessity” in a highly-competitive industry. “If we do not change our marketing strategies accordingly, we will not be able to outperform our competition or build a sustainable business,” she said. Chang added that her experiences have also taught her that change is inevitable. As part of her role, Chang tries to instill the importance of being critical and analytical with campaign ideas, as well as encouraging the team to challenge one another by asking key questions, such as the main objective of the campaign and ways to measure its success. She also frequently reviews strategies and team structures to adapt to the industry and evolving needs of consumers. Knowing that food is a topic most Malaysians are very passionate about, its strategy to remain competitive in Malaysia’s food delivery market involves triggering customers’ cravings and delighting them with high quality experiences through a selection of “extensively curated” restaurants on GrabFood. According to Chang, Grab is working on a campaign titled “The People’s Pick”, which aims to encourage consumers to pick and vote for their favourite local restaurants. The highly-voted restaurants will then be made available on GrabFood. Meanwhile, Chang also acknowledges the importance of using artificial intelligence (AI) and data to improve Grab’s services. She added that the implementation of AI will enable Grab to understand behavioural patterns among drivers and passengers, and identify real-time traffic patterns. This comes approximately two months after the ride hailing company jointly invested SG$6 million alongside the National University of Singapore for the launch of an AI laboratory. The AI laboratory is part of Grab’s aim to transform urban transportation and pave the way for smarter cities in the region. “I think marketers today need to be nimble, data-driven and customer-centric in order to fulfil the customers’ ever-growing and ever-changing needs and wants, especially now that everyone is empowered with technology,” Chang explained. Chang and her team are not scaling greater heights alone, as Grab works with various production houses, PR agencies, content developers and event organisers. Chang, however, declined to reveal the specifics. An agency is often viewed as an extension of the internal team to help deliver the company’s business, marketing and communication goals, she said. Therefore, a good client-agency relationship is important. However, one area in the relationship that might face strain is communication and the sharing of information. According to Chang, a good and detailed brief which includes objectives, expectations and messaging, can make a lot of difference to the execution and the output of any campaign. When appointing an agency partner, Grab focuses on those that not only have a good reputation but also know their job inside out, as well as take the initiative to go beyond and add value. While it is easy for agencies to follow a brief to the T, Chang said Grab appreciates agencies that can challenge them and show the team an alternative way of thinking and doing things. It also wants agencies that are go-getters, proactive and appreciate fluidity in the way Grab works. The court document seen by A+M alleged that Fox had "fought Genting at every turn, causing delay after delay" despite the latter's.. While Trump has denied labelling the countries as such, Airbnb has taken steps to "encourage more travellers to visit these specia..
Reminiscent of US TV series and reality game show The Amazing Race, the comedy stars actress Christine Ng (伍詠薇) and compo.. The campaign began with videos of the couples dressed in wedding gowns and suits running through the streets and airports in China..